PlayStation 4 NPL Queensland will be without Jai Ingham next season after confirmation the star attacker will play for Victorian club Hume City. 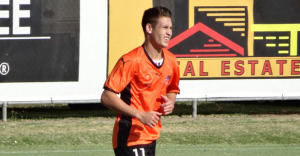 Ingham, 21, was a stand-out member of Olympic FC’s 2013 Premiership and Grand Final winning squad, scoring 14 goals before joining Brisbane Roar. 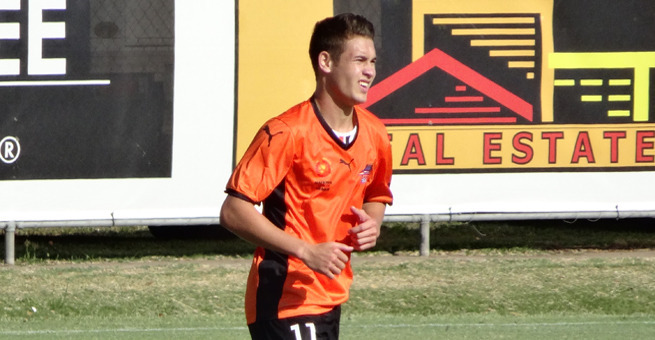 After receiving his first taste of Hyundai A-League football with Roar last summer, Ingham returned for the 2014 PlayStation 4 NPL Queensland season with the club’s youth side – netting a further 13 goals in 11 appearances to top the club’s scoring charts in 2014. Hume City, who finished their inaugural PlayStation 4 NPL Victoria season in sixth position, recently announced Ingham had signed for the club’s 2015 campaign. Hume City FC Director Ezel Hikmet told the club’s official website, "When you have young talent make a choice to come to your club over others it’s pretty satisfying and a good indication that we are on the right track." "He is a player that will catch the eye of A-League scouts throughout the country. He is of great character, and an extremely focused young kid," Hikmet added. Ingham, who originally hails from northern New South Wales, isn’t the first PlayStation 4 NPL Queensland player to venture south to the well-financed Melbourne football market. Brisbane City American imports Eric Frazier and Tom Shannon moved to Dandenong Thunder after helping City to the inaugural PlayStation 4 NPL Queensland Grand Final in 2013. While Olympic FC recently confirmed their 2014 top goal scorer Reuben Way will link up with Heidelberg United next season and bright midfield talent Jake McLean has accepted an offer from Oakleigh Cannons.